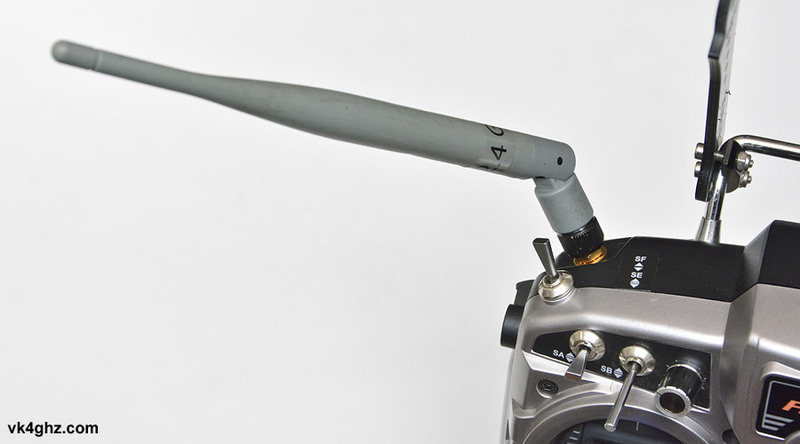 This modification was inspired by an article on BoltRC’s blog about replacing the Taranis’ in-built antenna with an SMA jack, which then allows connecting different, higher gain, antennas. 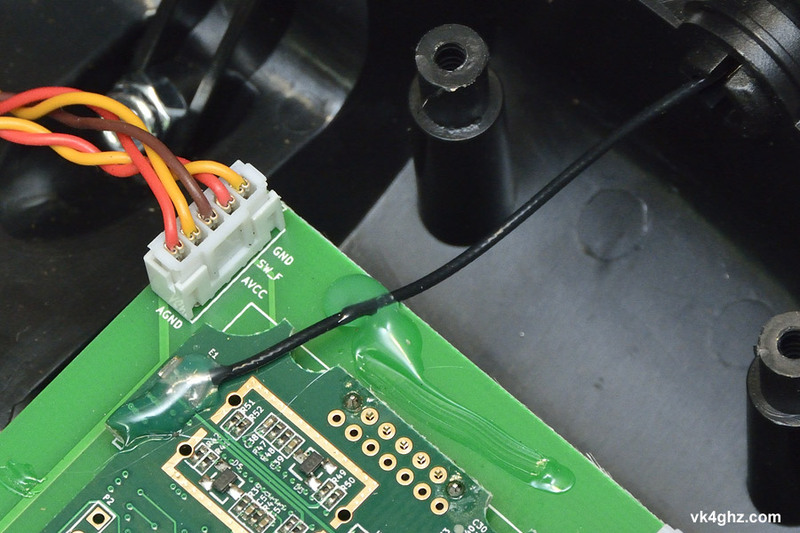 With the BoltRC mod, I didn’t like the idea of hot melt glue holding the SMA connector in place, and the method documented below has the SMA jack rigidly mounted through the radio’s shell. 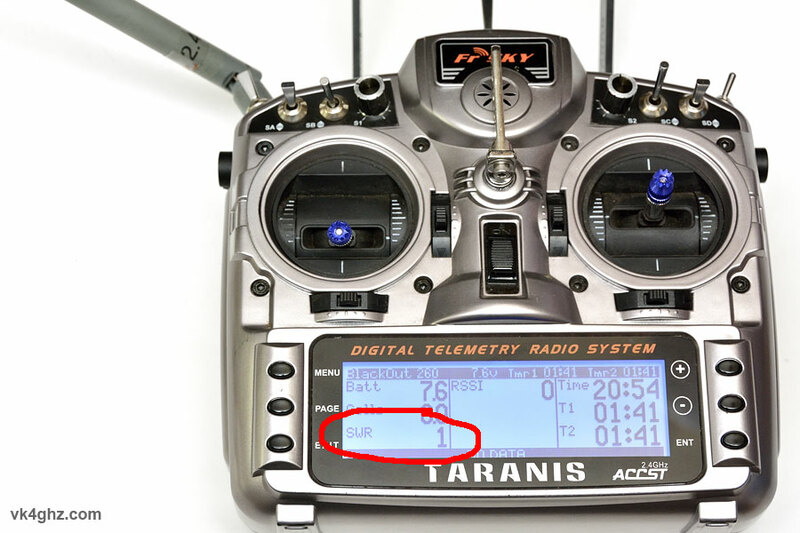 If I’m not flying FPV with goggles, my Taranis radio accommodates a 7″ 5.8 GHz diversity screen. 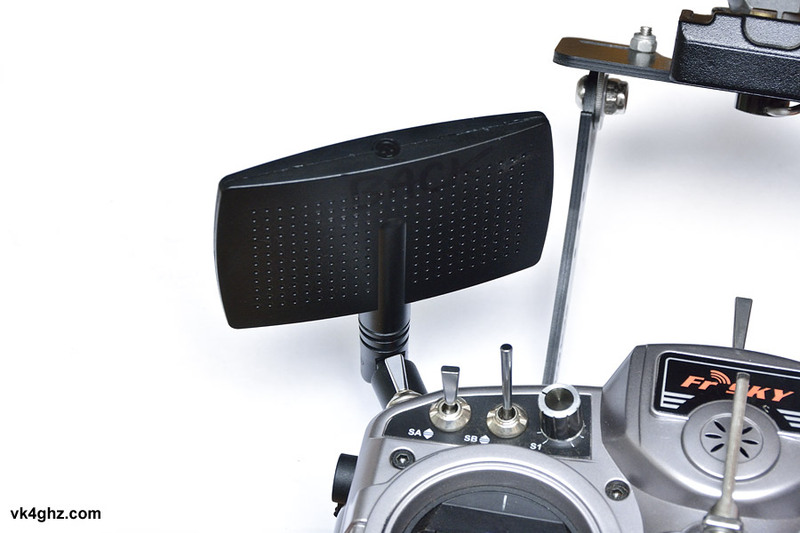 This is by way of a Manfrotto Quick Release mount, so my antenna placement has to take this into account. 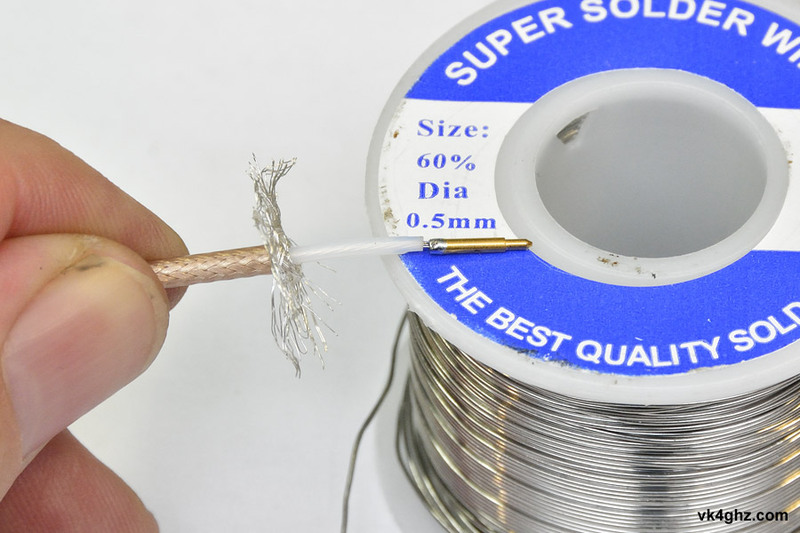 De-solder the coax tail from the PCB. Now to go about fitting an SMA connector with a coax tail. 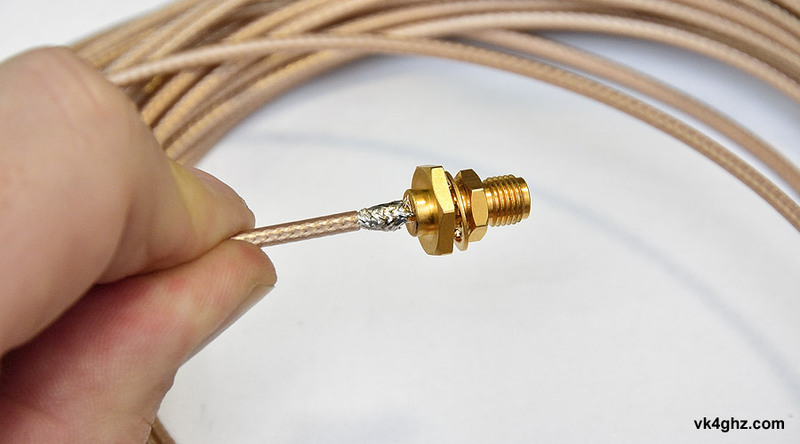 Or, if you’re like me and already have RG316 coax, and plenty of various bulkhead mount SMA jacks on hand, you don’t need to buy anything extra. 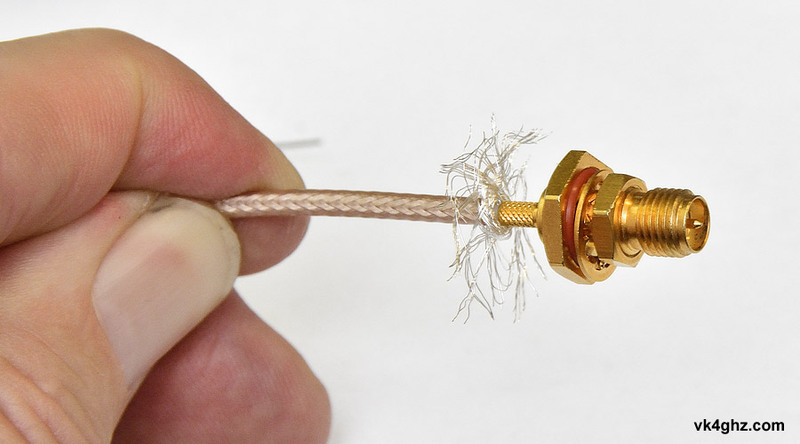 Here I’m using a SMA RP jack from RF Shop, located in Oxley (Brisbane) – my favorite local shop for when I want connectors RIGHT NOW! 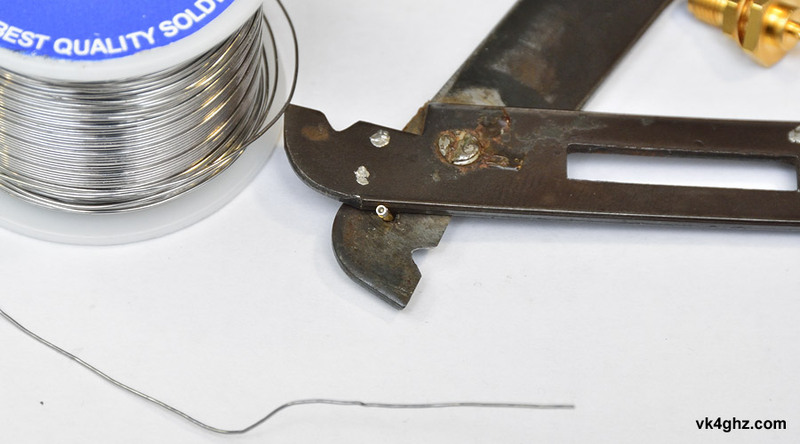 Prepare the RG316 to solder to the center pin. 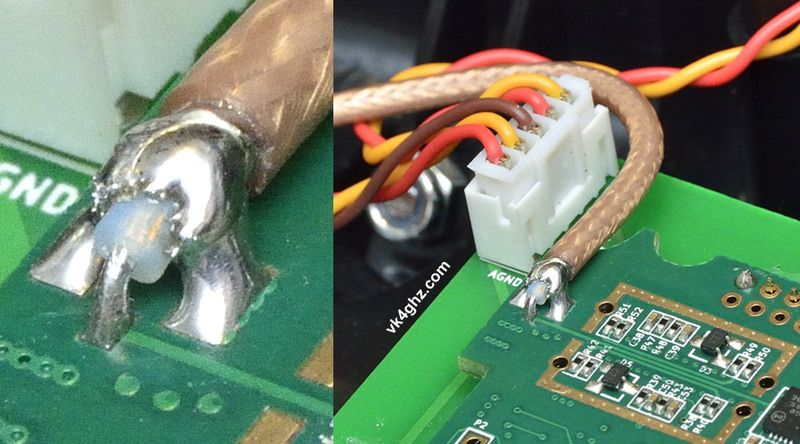 We sure as hell do not crimp connectors being used at 2.4 GHz! 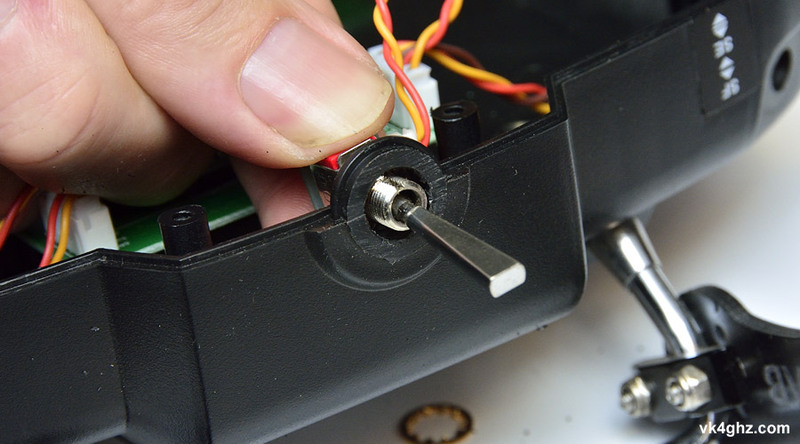 I didn’t bother putting any heat shrink around it to pretty it up… why bother, it’s inside the damn radio! This where I differ from the BoltRC mounting method, where it’s a very loose fit inside the old antenna hole, and “secured” with hot met glue. 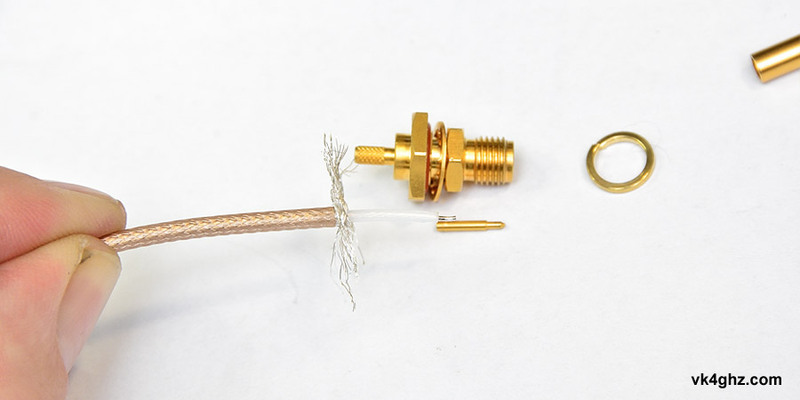 The SMA jack is actually a nice tight, robust, fit in a switch hole. 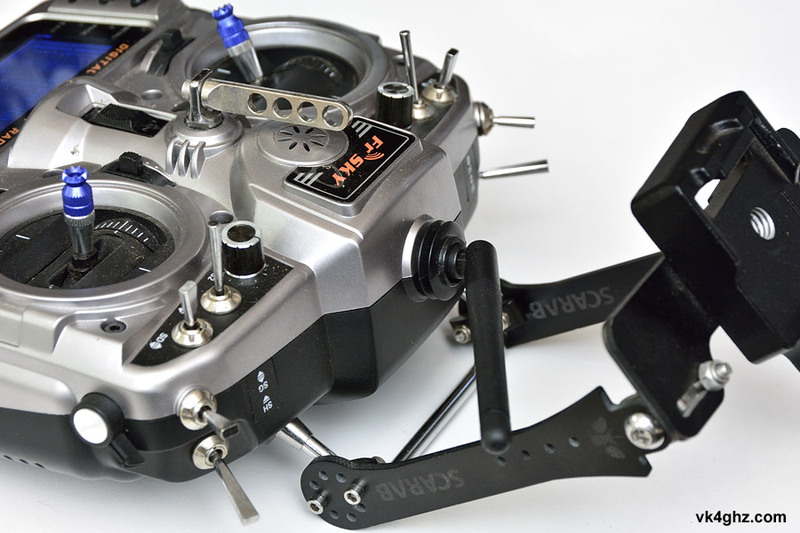 SMA mounts where switch ‘SF’ was. 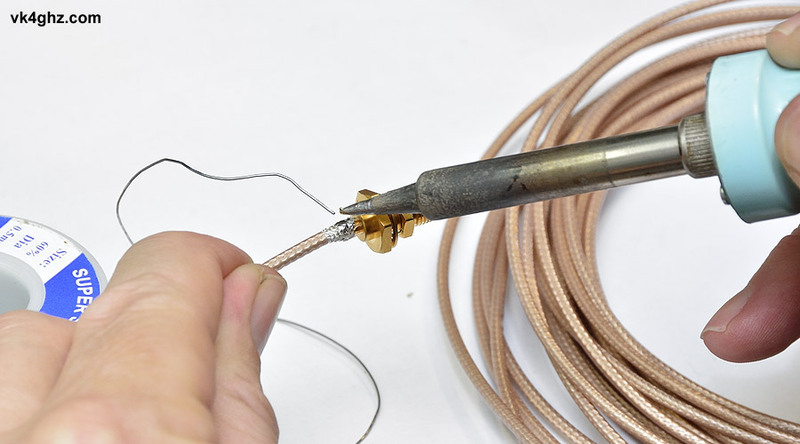 This provides for a nice short coax tail. (Read as: minimal loss @ 2.4 GHz). 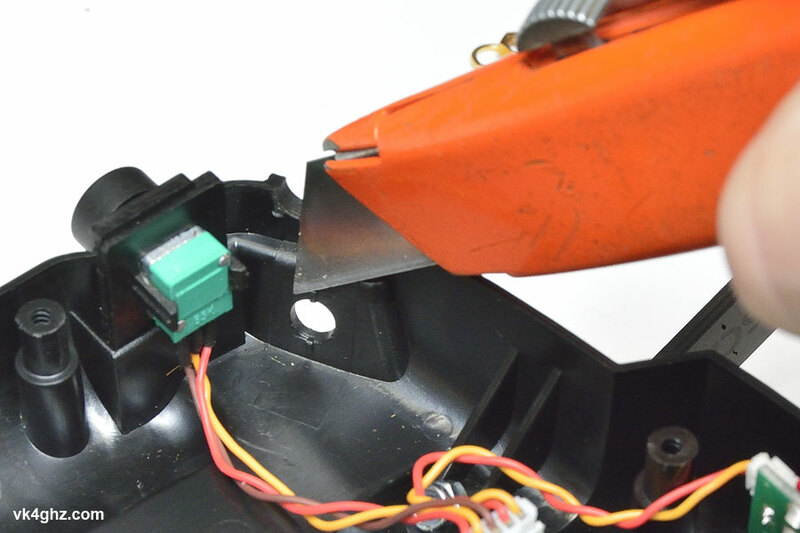 Determine how much RG316 is needed, and cut accordingly. 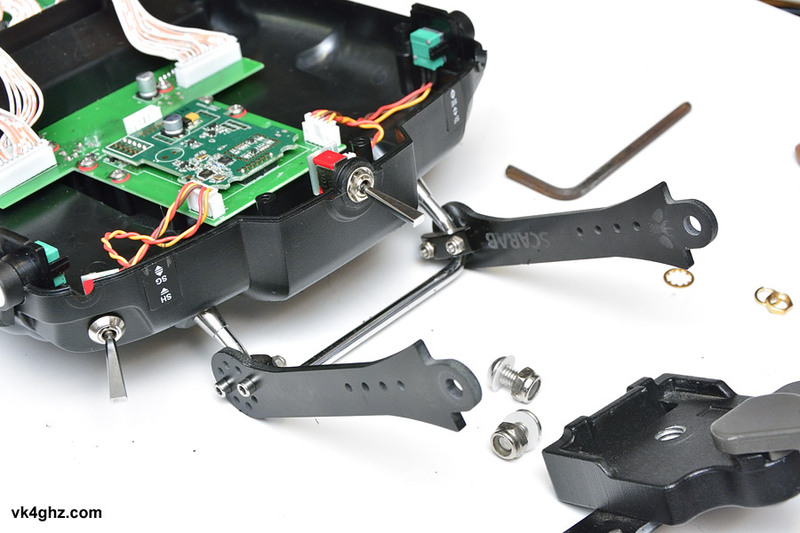 Using switch ‘SE’ position is problematic, due to the hole being split in half with the case shell. Switch ‘SF’ now needs to be relocated. To avoid drilling any holes, guess where? 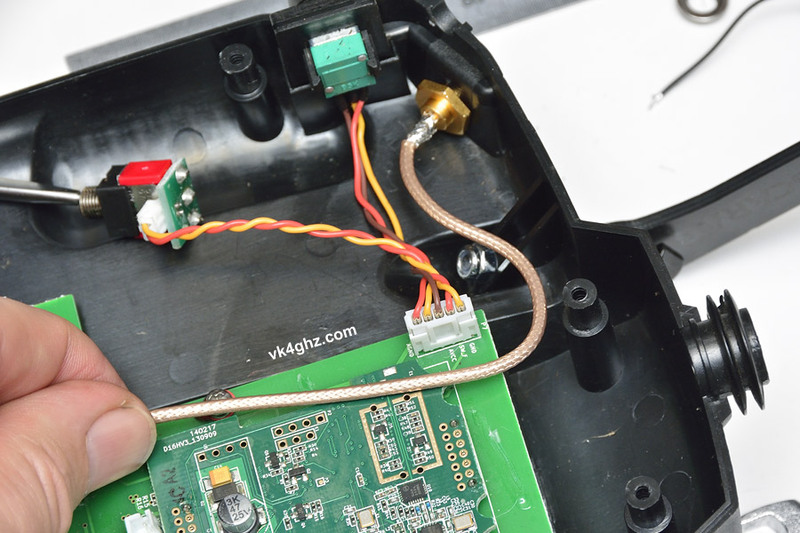 So why wasn’t the SMA mounted in the old antenna hole? Toggle switch threaded bush is long enough to fit through the thick shell casing here (unlike the SMA). 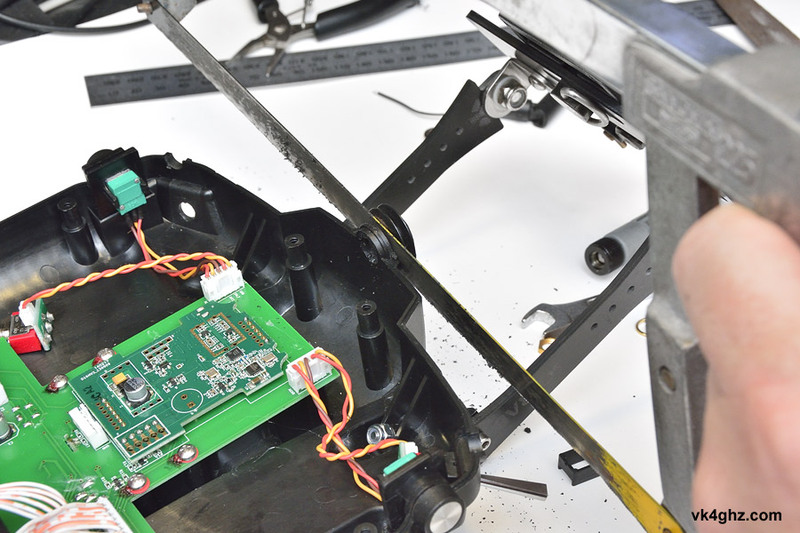 With the switch relocated, we can finish off the SMA connector tail. 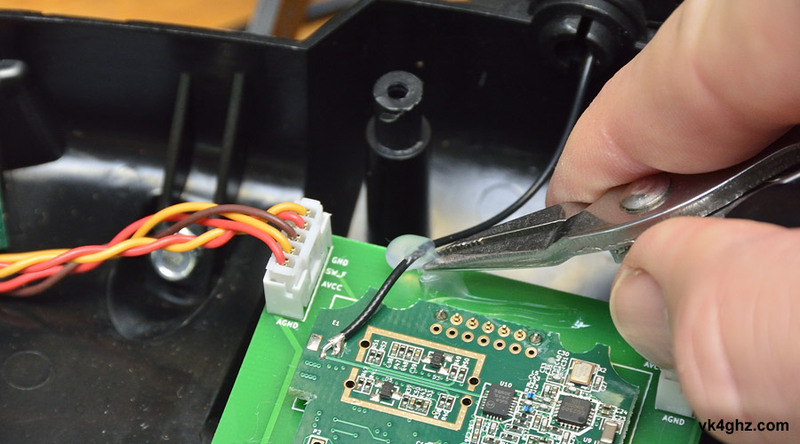 With the SMA connector securely fastened, re-assemble radio. This is a relative number, not an absolute measurement of anything (Standing Wave Ratio is a ratio anyway), but we want the lowest number, preferably as close to zero as possible. 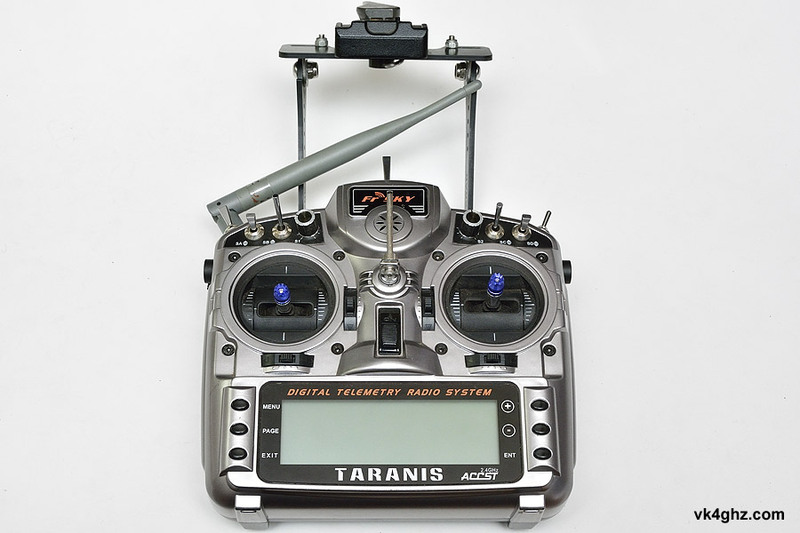 If you power up and forget to connect an antenna, don’t worry, Taranis will let you know about it! 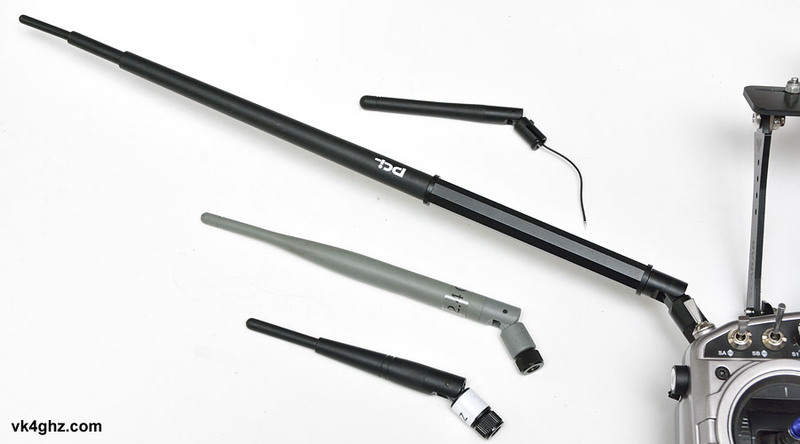 From an afternoon of field use, I found that the patch antenna was the best all-round performer, and offered a surprisingly wide angle of coverage.